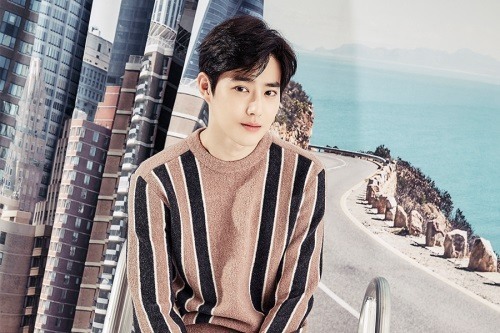 Suho of EXO will play the lead role in a remake of the 2012 Japanese drama “Rich Man, Poor Woman,” his agency S.M. Entertainment said Friday. It will mark the singer-actor’s return to the small screen in 10 months since he appeared on the MBC drama “The Universe’s Star” in January. Starring Shun Oguri and Satomi Ishihara, the original Japanese drama tells the love story of a young IT entrepreneur and a college girl who has trouble finding a job though she went to the prestigious Tokyo University. Actress Ha Yeon-soo is in line to be the heroine of the Korean drama. The new drama will consist of 16 episodes and will be produced by iHQ. Its exact filming date has not been decided, but it aims to premiere in the first half of next year. Suho will also star in the upcoming film “Middle School Girl A” (unofficial translation), which is based on a webtoon of the same title. Meanwhile, EXO will hold its fourth solo concert “EXO Planet #4 -- The ElyXiOn” from Nov. 24-26 at Gocheok Sky Dome in Seoul.